William Feller's parents were Ida Oemichen (1870-1938) and Eugen Viktor Feller (1871-1936). In fact his first name was not William. Rather it was Vilibald which was the name of the Saint whose day falls on his birthday. His mother was a Roman Catholic and so he was christened Vilibald Srecko, but chose to be known as Vilim in his homeland from 1923 onward, and Willy in Germany and Scandinavia (he even used the name Willy Feller on his papers into the 1940s). William's father Eugen, who was born in Lemberg (now Lviv), was a chemist working in industry. Eugen's father David Feller, the paternal grandfather of our mathematician, was Jewish but had converted to Roman Catholicism when marrying Elsa Holzer. William, the ninth of his parents' twelve children, was baptised on 19 July 1906 in the church of St Marko in Zagreb. He had seven older brothers, one older sister and three younger sisters. The seven older boys were Ferdinand (1897-1960) who became a pharmacist, Marko, Vlado, Miroslav (1901-1961) who became a writer and philosopher, Marijan (1903-1974) who became a pianist, Kazimir, and Dragan Karl. The girl who was older than William was Elza (born 1899), the oldest of all the children, while the three younger sisters were Marcia (born 1907), Krista, and Zora. The family was well-off having made much money from Elsa fluid (named after William's paternal grandmother) which claimed to cure everything from headaches to colds to stiff joints. The wealthy family built a home in Jurjevska street in Zagreb which was designed by William's uncle Mathias Feller. Built in 1911, the large grandly decorated house at 31a was William's home for most of his childhood. The twelve children were brought up to be bilingual, having both German and Croatian as native languages. Mathematics I-IV (with Marije Kiseljak), Differential and Integral Calculus (with Vladimir Varicak), Infinite Series (with Stjepan Bohnicek), Number Theory 1,2 (with Stjepan Bohnicek), Theory of Real Functions (with Vladimir Vranic), Calculus of Variations (with Vladimir Varicak), and two mathematical seminars (with Vladimir Varicak), along with a panoply of experimental and theoretical physics, some chemistry, and a sample of courses in pedagogy and psychology. ... one of the leading European experts on Einstein's theory of relativity at that time and author of the often quoted book 'Darststellung der Reltivitätstheorie im dreidimenzionalen Lobatschefskijschen Raume' Ⓣ (Zagreb, 1924). The calculus of probabilities is constructed axiomatically, with no gaps and in the greatest generality, and for the first time systematically integrated, fully and naturally, with abstract measure theory. The axiom system is certainly the simplest imaginable. ... The great generality is noteworthy; probabilities in infinite dimensional spaces of arbitrary cardinality are dealt with. ... The presentation is very precise, but rather terse, directed to the reader who is not unfamiliar with the material. Measure theory is assumed. Hitler came to power in Germany in 1933 and there was no way that Feller would accept the requirements placed on academics to sign a Nazi oath. He already knew Harald Bohr well since both had been in Göttingen together and Bohr now undertook to try to help academics fleeing from Hitler's Nazis to find employment elsewhere. Feller went to Copenhagen where he remained until 1934, then he moved to the University of Stockholm where he joined the probability group in the Institute for Insurance Mathematics and Mathematical Statistics headed by Harald Cramér. Being a research associate of Cramér was valuable to Feller, as was the fact that he was able to have useful discussions with Marcel Riesz who was also working in Sweden. In 1938 Feller married Clara Mary Nielsen who had been his student in Kiel; they had no children. Feller and his wife emigrated to the United States in 1939 and he became an associate professor of mathematics at Brown University, in Providence Rhode Island. 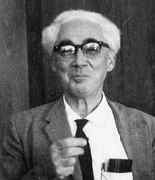 Founded in 1931 with Otto Neugebauer as the editor, the reviewing journal Zentralblatt für Matematik had rapidly become an indispensable tool for mathematicians world wide. After Hitler came to power in Germany in 1933, production of Zentralblatt became increasing difficult and Harald Bohr helped Neugebauer to move to the University of Copenhagen in January 1934. Feller was still in Copenhagen at this time. Neugebauer took the editorial office of Zentralblatt für Matematik to Copenhagen with him and from 1934 until 1938 Zentralblatt continued to flourish from its headquarters there. The struggle to produce the reviewing journal became more difficult throughout this period, however, for the Nazis tried more and more to influence the editorial policy of the journal. Tragically some mathematicians were seduced by the Nazi ideas and mathematicians such as Wilhelm Blaschke attacked the journal. It was clear that the mathematical world required a reviewing journal which was not subjected to political pressures and, when Neugebauer was appointed to Brown University, the American Mathematical Society saw its chance to produce a major reviewing journal. Feller became the first executive editor of Mathematical Reviews which started reviewing articles which appeared from July 1939 and the first issue appeared in January 1940. Its successful launch was largely the result of both Neugebauer and Feller's major efforts to get the journal established. From the time he moved from Cornell to Princeton in 1950, [Feller's] whole life revolved around a feeling of inferiority. He secretly considered himself to be one of the lowest ranking members of the Princeton mathematics department ... In retrospect, nothing could be farther from the truth. Feller's treatise on probability is one of the great masterpieces of mathematics of all time. Feller worked on mathematical probability using Kolmogorov's measure theoretic formulation. His approach was pure mathematical but he did study applications of probability, particularly to genetics. He transformed the relation between Markov processes and partial differential equations. Later he put his results in a functional analysis framework. Feller made notable contributions to the mathematical theory of Brownian motion and diffusion processes during the years 1930-1960. Other papers written by Feller while still at Brown University include: On the time distribution of so-called random events (1940), On the integral equation of renewal theory (1941), On A C Aitken's method of interpolation (1943), The fundamental limit theorems in probability (1945) and Note on the law of large numbers and "fair" games (1945). The second last of these papers on the limit theorems is on a topic that Feller kept returning to over many years. ... the exposition is mathematically rigorous and at the same time elegant and lucid. This fascinating book will remain a standard textbook of mathematical probability for many years to come. All probabilists will welcome the latest edition of this classic book. While preserving the unique flavour of the former editions the author has improved the treatment of many topics. The first edition of Feller's book has already been met with a lot of approval in the USSR. We now bring to the attention to our readers the translation of the second English edition, improved and revised by the author with a lot of details. Such choice of material gives Feller's book a special place among the reference books on the probability theory ... By his choice of problems Feller exposes their solutions by 'direct' and especially probabilistic methods. This tendency to see probabilistic sense behind their analytical transformations represents the most valuable feature of Feller's book. The author's effort to clearly show character and effects of probabilistic laws on carefully chosen examples deserves our attention. In many cases the author succeeds in introducing the reader into quite interesting questions on the comparison between statistical data and probabilistic theory of events. No other book on Probability theory can be compared to this one - in terms of mathematical strictness, excellency of proof and the number of the examples observed. By explaining the most complex mathematical issues he never loses sight of reality where a developed theory can be applied. The character of the book is such that for a long time it will not become out-of-date. The second volume of Introduction to Probability Theory and its Applications appeared in two editions in 1966 and 1971. For Feller's Prefaces to these books, see THIS LINK. For extracts from 50 reviews of the various editions of these two classic volumes see THIS LINK and other pages linked to it. No other book even remotely resembles it in its combination of the purest mathematics together with a dazzling virtuosity of techniques and applications, all written in a style which displays the enthusiasm of the author. This style has made the book unexpectedly popular with non-specialists, just as its elegance and breadth, not to mention its originality, has made it an inspiration for specialists. ... outlines some new results and open problems concerning diffusion theory where we find an intimate interplay between differential equations and measure theory in function space. Feller delivered the one hour plenary talk Some new connections between probability and classical analysis at the International Congress of Mathematicians held in Edinburgh, Scotland, in 1958. Work on the theory of diffusion was a major part of Feller's research at Princeton. He also was given the permanent title of visiting professor by Rockefeller University in 1966 and he spent several years there working both with geneticists and mathematicians while on leave from Princeton. His lectures were loud and entertaining. He wrote very large on the blackboard, in a beautiful Italianate handwriting with lots of whirls. Sometimes only one huge formula appeared on the blackboard during the entire period; the rest was hand waving. His proof - insofar as one can speak of proofs - were often deficient. Nonetheless, they were convincing, and the results became unforgettably clear after he had explained them. The main idea was never wrong. He took umbrage when someone interrupted his lecturing by pointing out some glaring mistake. He became red in the face and raised his voice, often to full shouting range. It was reported that on occasion he had asked the objector to leave the classroom. The expression "proof by intimidation" was coined after Feller's lectures (by Mark Kac). During a Feller lecture, the hearer was made to feel privy to some wondrous secret, one that often vanished by magic as he walked out of the classroom at the end of the period. Like many great teachers, Feller was a bit of a con man. I learned more from his rambling lectures than from those of anyone else at Princeton. I remember the first lecture of his I ever attended. It was also the first mathematics course I took at Princeton (a course in sophomore differential equations). The first impression he gave was one of exuberance, of great zest for living, as he rapidly wrote one formula after another on the blackboard while his white mane floated in the air. Those who knew him personally remember Feller best for his gusto, the pleasure with which he met life, and the excitement with which he drew on his endless fund of anecdotes about life and its absurdities, particularly the absurdities involving mathematics and mathematicians. To listen to him lecture was a unique experience, for no one else could lecture with such intense excitement. ... for his important contributions to pure and applied mathematics, for his efforts to make probability theory accessible to broad audience, and for his pioneering work in establishing Mathematical Reviews. Feller had been nominated for the National Medal for Science by Oscar Zariski and the case for the award was written by Joseph Doob, Mark Kac and Jerzy Neyman. Having accepted the verdict himself he tried to make it easy for all of us to accept it too. He behaved so naturally and he took such interest in things around him that he made us almost forget from time to time that he was mortally ill.
Feller was one of the giants in the development of the modern ideas of probability models and analysis. He was creatively active his entire life, a counterexample to the myth that mathematicians have exhausted their creative energies by the age of 50. Feller is also another example of the incredible value that can be derived from immigration. He was one of the first very talented people to leave Germany due to the rise of the Nazis, eventually settling in the eastern United States. Those who knew him personally remember Feller best for his gusto, the pleasure with which he met life, and the excitement with which he drew on his endless fund of anecdotes about life and its absurdities, particularly the absurdities involving mathematics and mathematicians. To listen to his lecture was a unique experience, for no one else could lecture with such intense excitement. No one could generate in himself as well as in his auditors so much intense excitement. In losing him, the world of mathematics has lost one of its strongest personalities as well as one of its strongest researchers.